Government paper reveals that UK will comply with existing legislation after March 2019 exit. The UK government has confirmed that it plans to comply with existing European laws on data handling and sharing, even after Brexit. A paper published by the GOV.UK government website said that the EU needs to recognise how the UK is looking for an early agreement in finalising its plans. Doing so will help streamline Brexit negotiations and minimise disruption to businesses both in the UK and on the continent, the government says. "Early certainty around how we can extend current provisions, alongside an agreed negotiating timeline for longer-term arrangements, will assuage business concerns on both sides and should be possible given the current alignment of our data protection frameworks," the paper said. The need for agreement and speedy negotiation is also accelerated somewhat by the looming deadline of the new GDPR legislation, which is set to come into force in May 2018. Numerous recent reports have claimed that British businesses are nowhere near as prepared for the new guidelines as should be liked. However, the UK's decision to leave the European Union had thrown confusion over whether GDPR will be implemented in the UK, and in what form, with the current status suggesting that GDPR will be rolled into a new data protection bill. The paper adds that the government is keen to remain involved in the development of new rules governing data with the EU, whatever form this may take. "The UK would be open to exploring a model which allows the Information Commissioner's Office (ICO) to be fully involved in future EU regulatory dialogue. 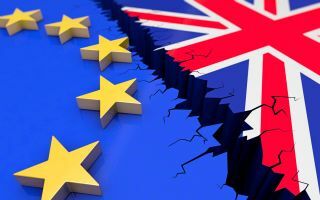 An ongoing role for the ICO would allow the ICO to continue to share its resources and expertise with the network of EU Data Protection Authorities, and provide a practical contribution at EU level which will benefit citizens and organisations in both the UK and the EU," the paper added.